I had a really hard time with darkness when I was a little girl, and it really isn't a surprise to me that Zion also gets scared in the dark. 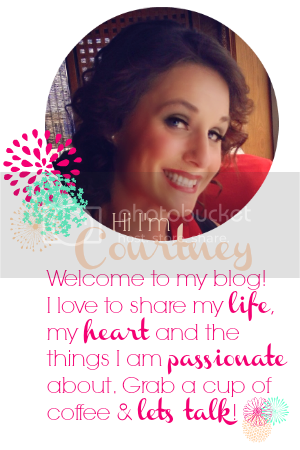 We've tried a couple of different items that have helped but most recently we had the opportunity to try an adorable new product called Flashlight Friends. 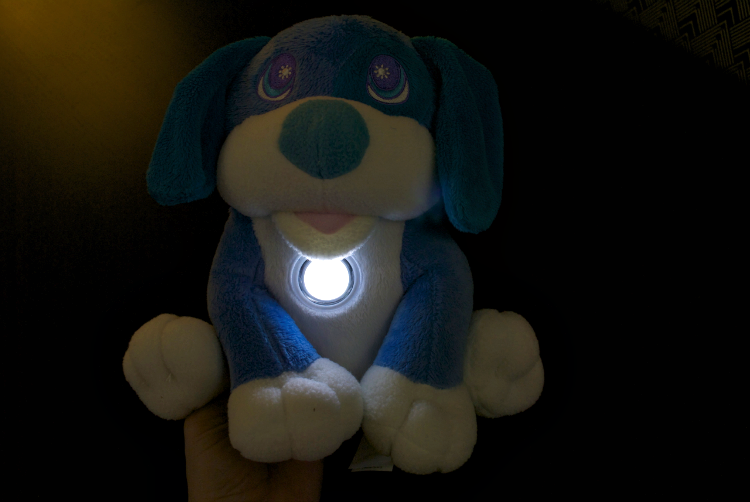 We were sent a complimentary blue puppy dog Flashlight Friend for the purpose of this review. I think this is a really cute product. 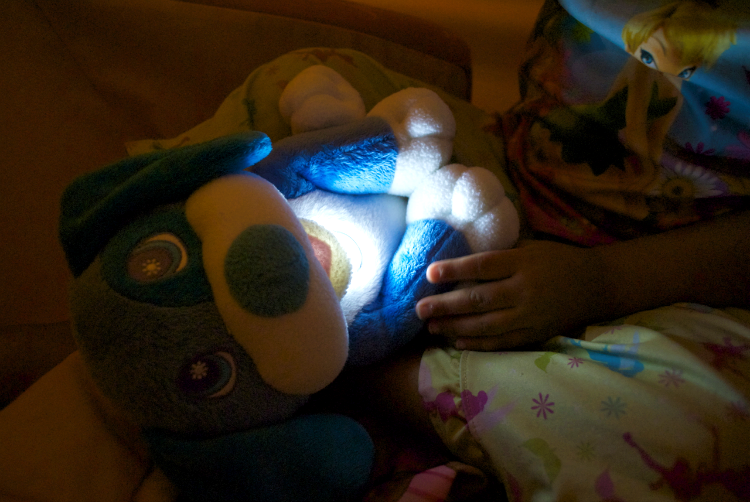 Battery operated, this snuggly plush flashlight goes on with a double-tap of the light on the chest. After ten minutes the flashlight automatically turns off. 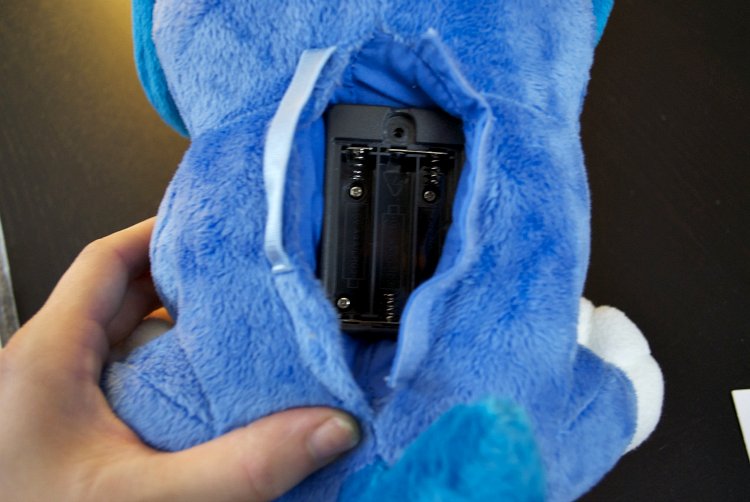 It is powered by 3 AAA batteries which are enclosed in a tamper-proof screw-on panel in the back. The back closes with velcro to prevent the battery pack from showing. The light also stays cool to the touch. 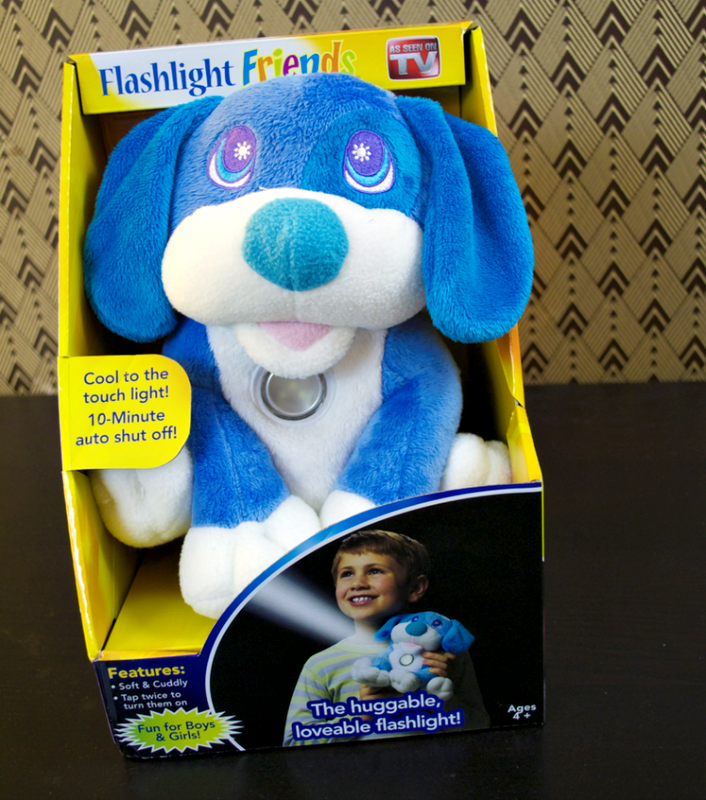 You can purchase a Flashlight Friend for $19.99 plus shipping/handling. They come in a variety of characters to choose from, including a penguin, unicorn and dragon. 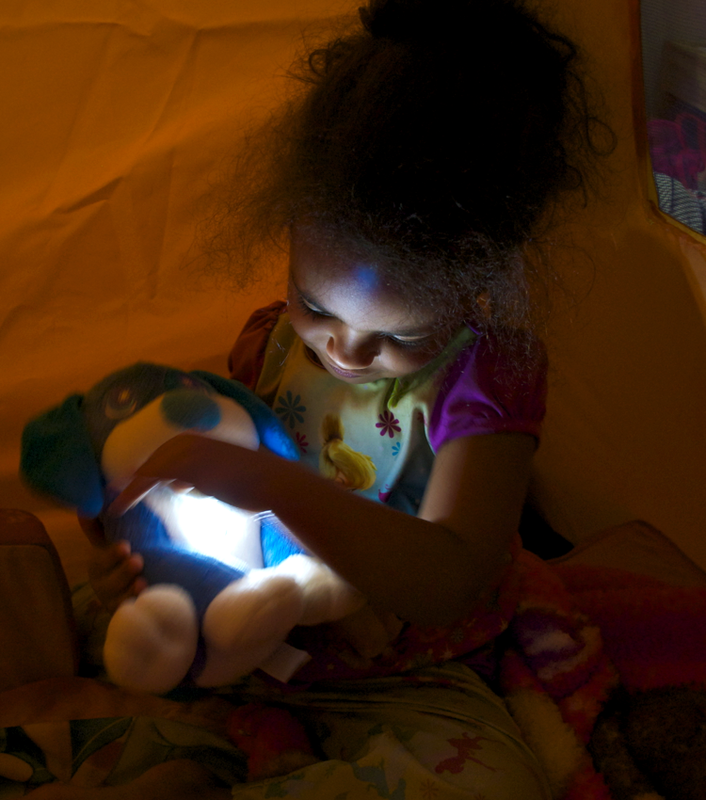 Zion not only loves to snuggle her Flashlight Friend at bedtime, she likes to take him on adventures around the house, using his light to shine in dark rooms. Flashlight friends are recommended for ages 4 and up.